Beier, Beirette Junior II. Photograph gallery. Despite the cheapness of the Beirette it performs well, the Meritar lens is actually rather good and the camera is light enough not to be a burden to carry around. It's principle problem is the harsh shutter release, it requires considerable effort not to jerk the camera at the moment of release. All failed shots from this camera have been the result of camera shake owing to this shortcoming. However this should not prevent you from using one, just take care. 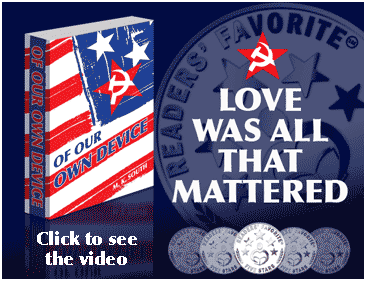 Our example was treated to a trip to Vietnam and Cambodia in 2002. At right is a restored 1963 Lambretta in a side street of Ho Chi Minh (formerly Saigon). 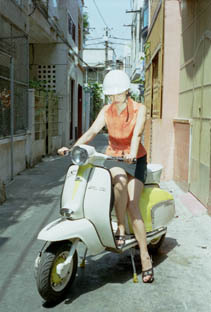 The Lambretta and Beirette are contemporaries, as are the model and photographer for that matter. 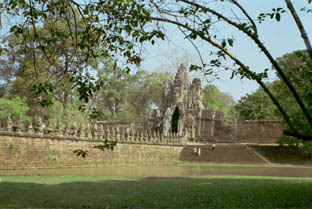 The South Gate at Angkor Thom, March 2002, part of the Angkor complex in Cambodia. Built during the 30 year reign of King Jayavarman VII that started in 1181. After the Siamese took the city and sacked it in 1431 the khmers abandoned the city to the jungle. The wooden structures rotted away and trees peeled the buildings apart and buried them in vines. Re-discovered in 1860 by the French explorer Henri Mouhot, the French colonists of Kampuchea (as it was), embarked on a massive project to clear, study and make safe the ruins. Since then revolution, civil war, the hideous activities of the Khmer Rouges led by Pol Pot and subsequent invasion by Vietnam have all taken their toll of this most beautiful of historic places. The small but lovely site of Banteay Srei, some 20km North East of Angkor Thom. Built by the Priest Mentor of King Jayavarman V who reigned between 968 and 1000. 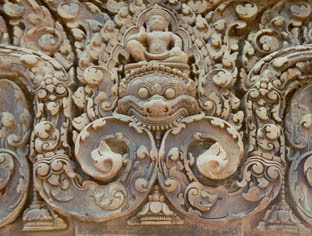 The rock used in the construction of Banteay Srei is a different shade to others used at the various Angkor sites and yields much finer carvings as witnessed by this shot from the Beirette at 5ft range.